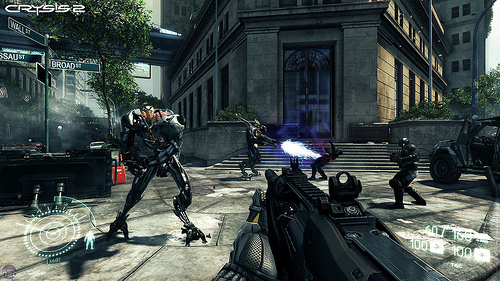 There are several types of weapons you can use in Crysis 2 to kill your opponents, and each one has its pros and cons. Your gameplay may be a lot different depending on which one you use so make sure you know all you can about every one. Additionally, weapons are customizable with different attachments so you can increase their rate of fire, decrease the recoil and similar. This article will provide a quick overview of the weapons and attachments for easy reference. SCAR is the short form of “Mk.20 Superior Combat Assault Rifle”. It can hold up to 40 (+1) rounds in one magazine. 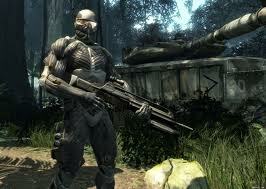 It’s the standard assault rifle of the military in Crysis 2. Grendel Assault Rifle, a 30-round 3-shot battle rifle that resembles the Magpul Masada, albeit with a thicker barrel and larger magazine. Feline SMG, a bullpup SMG with a 60 (+1) round magazine. It is very similar to the real life assault rifle FN F2000. K-Volt, an electric pellet submachine gun that looks a lot like the TDI Vector. Jackal shotgun, a semi-automatic shotgun with a 7 (+1) round box magazine. Marshall shotgun, a pump-action shotgun based on the shotgun in Crysis. DSG-1 Sniper rifle, It has a 8 (+1) shot magazine and is now semi-automatic. 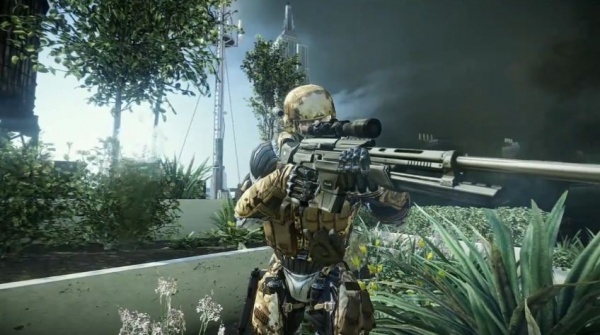 M12 Nova sidearm: It appears to be based on Crysis’s SOCOM. It has a 20 (+1) rounds big magazine. Hammer, a Heavy Semi-Automatic Pistol with 9 (+1) rounds per magazine. Mk60, a machine gun seen in the Multiplayer demo that resembles the M60E4. L-TAG Grenade Launcher, a 6-shot grenade launcher that resembles the M79 grenade launcher. Frag grenade. It seems that now the player can’t throw it while holding another weapon. It has the same launch reticule of the L-TAG but upside down. JAW rocket launcher. Unlike the LAW, the rocket launcher has only one round in it; it has also a different targeting sight. 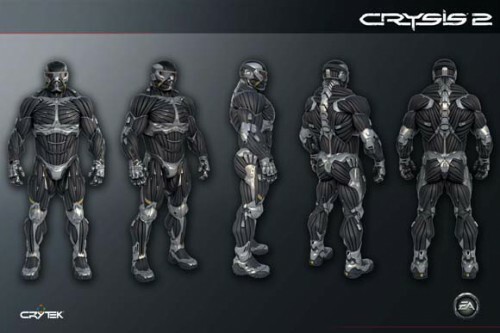 For more information on weapons and weapon attachments in Crysis 2 see this Crysis 2 strategy guide which includes detailed info with statistics, pros and cons, tactics, recommendations and a lot more.